Social media marketing tools aren’t just something that geeks fiddle around with. They’re an essential component of a professional outreach campaign which is a lot more than a single staffer typing out messages. The number of followers and friends to a popular account on the networks is mind-boggling, and it is virtually impossible to maintain all the relationships without using at least one good tool. Just like there’s an unprecedented boom in the number of consumers who can be reached via the networks, there’s also a boom in the tools available. There are web and desktop based tools for integrating all the networks into one panel and a single login, so that one message can go out to all the networks. Others simply monitor and track all the accounts across all networks. Some are free and to be used by individuals, while others are good enough to be enterprise level systems. It’s even possible to collect metrics and calculate ROI using an advanced tool. Some are specific to a platform, while some may even have multi-language support. The kind of tool that’s best suited for a company will ultimately depend on the size of the company, the budget (if any) and team size allocated for social media outreach. For example, an enterprise level customer may feel the need for something robust like Spredfast. It is a Social Media Management System (SMMS) with an integrated panel to bring all the networks inside one window. Messages are customized for each network by Spredfast, so that it reduces the need for replication efforts on each network but does not sacrifice a distinct identity. It is also useful for measuring metrics, and is capable of tracking the response rates to each message and provides an accurate ROI for the overall team effort across all networks. A tool like Hootsuite can do most of this stuff, but on a smaller scale. For individuals, TweetDeck is a very useful tool that helps one person manage multiple accounts. CoTweet goes in the opposite direction, and is handy if multiple team members are posting on the same account. It can track each person’s activity separately. Choices side, social media marketing tools are absolutely essential for those who don’t wish to let the growing volume of friends and followers drown out individual relationships. Use a tool, and it becomes possible to filter out the noise while responding to mentions, send messages to all networks with very little effort and gather response data. Company and brand names and keywords can be tracked separately and responded to in a timely fashion. The bottomline is that there is nothing optional about using a tool for social media, at least not for those who want to see continued growth on the networks. To finally locate added truth attached to Social Media Marketing the public is going to head to Social Media Marketing Machines Bonus and / or maybe Social Media Marketing Machines Review. Social bookmarking is about bookmarking websites that individuals like. Whenever an online end user discover an internet site that they like they bookmark it through one of those social bookmarking sites. When a certain amount of individuals do the same, that website gets high ranking. High ranking of a certain site with high traffic signifies a lot of new fresh targeted traffic. And because sites have become the most favorite among the bloggers, lots of people will write about your site which may deliver more traffic, quality visitors and useful backlinks. Social bookmarking sites permit customers to publish their favorite websites utilizing tags or key phrases to classify and organize them. Other customers usually take these bookmarks and add them to their own collection or share them with more users. Here are a few of the best social bookmarking sites on the internet. These top sites consistently deliver some of the best content material you’ll want to share, discover, and keep. Delicious is a social bookmarking site that has rapidly flourished in popularity since being purchased by Yahoo. Delicious is one of the most popular out of all these top picks, particularly to publish useful websites that are located around the web. Digg is social bookmarking and social networking which has come to be a little unusual because of the fact that anyone may publish a Digg (site), basically anybody may comment on these same Diggs. The Digg community isn’t timid about letting folks understand how they experience a particular Digg. Reddit is a social bookmarking site that works similar to Furl and delicious. You register a username and password, and start submitting and sharing your bookmarks. Reddit is similar to delicious in the sense that users are encouraged to vote on the links and stories that they really feel are deserving of being in the most notable spot. Furl provides users the ability to save copies of any web page. Search within your personal archive of web pages, and share what you discover. People utilize Furl to make their particular personal shopping lists, property directories, job searches, student research papers, etc. With Clipmarks, you can clip the best parts of web pages. Be it a paragraph, sentence, and image or video, you can capture only the pieces you need and not having to bookmark the whole page. The great thing about StumbleUpon, is you’ll be able to make the most of a vast network of devoted web searchers who’re finding absolutely brilliant websites and sharing them with you. StumbleUpon is an extremely addicting method to search the web because the quality of the sites is simply so amazing. You keep on coming across info that immediately merits a bookmark of your own. At Newsvine, you may read stories from established media organizations like the Associated Press and also personal contributors from all across the globe. Placement of stories is determined by a multitude of factors including freshness, popularity, and reputation. Contribution is available to all. Diigo is among the most recent favorite internet tools. Not only can you use Diigo to save your chosen internet bookmarks, you can also use Diigo to put sticky records on websites, emphasize information you like, comment, and more. The way Propeller works is comparable to some other social bookmarking sites like Digg or delicious. Customers find stories, publish them, as well as other Propeller users can vote and discuss those stories, with the most popular stories rising to the top. Virtual Assistance is one of the most popular home-based businesses, and virtual assistants provide a much needed and valued service that is easy to comprehend. Virtual assistance is a relatively new administrative profession. The professionals are called virtual assistants. Virtual assistants are micro business owners that provide administrative and personal assistance while working in long-term collaborative relationships with mainly a number of great customers. What makes virtual assistants is not that the services may be performed at a distance from a client. But instead services that are being executed are administrative in scale and scope, and are provided with the desire to assist the customer across the board, not with just one single particular function or job, no matter how ongoing that may be. 1. You give work away that does not require most of your focus. Therefore it provides you back time and space for an abundance of much more important things for you to do. 2. You won’t provide space in a home-office, or find additional office area for an employee. 3. You don’t have to buy additional equipment. 4. You will be free to deal with the managing of an employee. 5. You need not deal with the administration details related to payroll. 6. You will not have a burden paying associated payroll taxes, insurance, and perhaps benefits. 7. You shall not pay someone else to administer all of the above, so that you are not further bogged down. 8. Virtual assistants get to interact with other company owner. Virtual assistants, who aren’t just task driven, but rather, wants to help you get excellent solutions to challenges and the best ways to really find for opportunities for you. The main thing that makes hiring virtual assistants so special is the relationship. The partnership formed between the virtual assistants and client. For the virtual assistants/client relationship, the ultimate goal is harmonious and constant partnering not a series of dealings. Virtual assistants offer all they’ve got, in terms of talents, skills and resources. Working in a collaborative relationship with virtual assistants is a terrific way to get that support. It comes from all sorts of people. Consultants (marketing, sales, management, corporate, etc. ), coaches, professional speakers, CPA’s, attorneys, writers, photographers, authors, professional athletes, celebrities, practicioners, economic planners, stock brokers, executive recruiters, entrepreneurs and much more. And for all professions that you can think where a small business owner would want assistance. The checklist is limitless. Additionally, nowadays there’s a trend toward busy families. With virtual assistants as a means to recoup precious family time instead of dealing with the mind-boggling quantity of chores and family management details encountered on a daily basis. Virtual assistants are enabling professionals so that you can spend more time on money generating activities and less time on the administrative facets of the business. The advantages of working with virtual assistants significantly outnumber the benefits of hiring an in-house assistant. Ultimately, many virtual assistants want to establish long-term working relationships with their client. Virtual assistants wish to get to know you and your business in order to work closely to meet your ongoing business and office support needs yet only as you need them. An Airplane crash. Survivors stuck on a mysterious, tropical island. Time travel, mysticism, and mysteries. Planning, back stabbing and revenge. Such is the story of ABC’s LOST. The sensation of a tv series strike airwaves in the year 2004, and has had a cult following since that time. Well-known for its insufficient answers, the tv show lost a good deal of viewers after the first 2 seasons, but retains a devoted following to this day. ABC’s LOST originally follows the survivors of Oceanic Flight 815 immediately after it crashes on an island engulfed in mystery. The group is battling to survive as they encounter nightly disappearances, polar bears, and an unusual creature made of black smoke. As time passes, they find a hatch hidden into the soil, and discover inside a guy who was never on their flight. The man’s name is Desmond, and he’s pressing a button every eight minutes in an effort to “save the planet.” Desmond abandons the hatch, leaving the survivors to continue the process. The show takes a turn at this point in the series. The survivors discover a guy who claims his name is Henry Gale, however , after a little bit of time, they learn that the person is actually Ben Linus, the leader of one more gang of island people known as “The Others,” and they’re individuals who were taking individuals from the group at the start. ABC’s LOST gets crazy when Linus runs away, and the survivors discontinue pushing the button, resulting in the hatch to implode in a burst of electromagnetic energy. In the meantime, major group members of the survivors are taken by the Others. After several weeks of beatings and near torture, the caught survivors learn that they are on a totally separate island, and that these people are doing work out of the old facilities of a group called the Dharma Initiative. No one is very clear on precisely why the Others exist, but it’s revealed that Ben was to blame for murdering all of the former Dharma people, and that he thinks he’s given the job of “protecting the area,” and is under the direction of a person called Jacob. ABC’s LOST gets seriously thrilling when a freighter shows up from the coastline, and the survivors believe they are saved. Nonetheless, it is immediately uncovered that the freighter isn’t there to save, but destroy them, as their leader is a former boss of the Others who is looking for vengeance. Luckily, the helicopter pilot of the freighter is uneasy with the situation, and regardless of the freighter itself getting blown up, is able to assist 6 of the survivors leave the Island. A few years after the fact, they still have not advised any individual in the world about what truly happened following the airplane crash, or that there are other survivors left on the island. Nevertheless, ABC’s LOST becomes even crazier the moment another survivor pops up to the world known as John Locke, and explains that in the event that they do not come back to the island, everyone they adore there will be murdered. Although it calls for some coercion, as well as the death of the messenger, everyone finally goes back. In the period that they were gone, the rest of the survivors have been surviving several crazy situations. After they left, Ben and John had turned an archaic wheel as a way to “move” the island and keep the remaining survivors safe and sound. Nonetheless, during this process, they had dislodged this tropical isle from time, and the people found themselves time traveling at a regular rate, leading to a few strange deaths. Locke is finally able to stop the time traveling, however the island is at that point trapped in the 1970’s, therefore when the survivors that had left return, they also find themselves out of sync. The storyline in ABC’s LOST becomes more and more convoluted, however , the best thing you an do is watch it yourself. The story is even more intricate than it seems now, and is more than worthy of checking out. There are so many websites offering different forms of advice on using Green Screen Backgrounds but a majority of of them are usually not so detailed or specific. Be sure to check out my own reviews and posts on all you need to learn about Green Screen Studio Rental before following other advice. 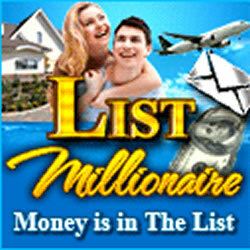 One of the easiest ways to make money online would be to joins a program such as Linkshare. 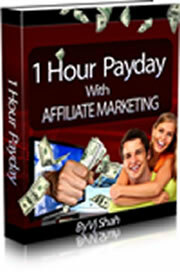 With no minimum monthly payout like most other companies seem to adopt this makes it a very good prospect indeed. This program spoils you with thousands of products and programs that you can choose to market and promote. By simply referring a buying customer to a site you will earn yourself a percentage of any sales. Many of the products have a high percentage payout so your money can soon add up very nicely. The first step is to sign up for a free account. After this has been completed you can have a look around the site to find a good product to promote. Once you find a product that you are happy with you just apply for that link. You will generally get accepted automatically as Linkshare has one of the easiest approval records of any of these sites. But do not get disillusioned if occasionally you get a rejection. You just need to choose a different program or product to promote. Once you are accepted you can look for an ad that you wish to promote that will look good on your blog. Take the code from the site and paste it into your blog. 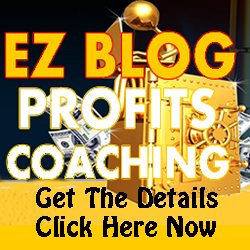 You are now up and running and on your way to making some money. 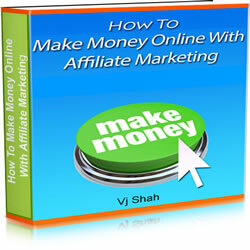 There is also another easy way to make some money with it. 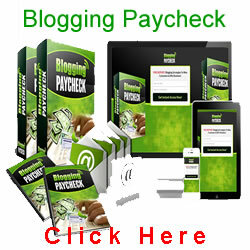 They are willing to pay you $1.50 for every blogger that you get to open an account. This can potentially make you quite a bit of extra money. The best possible way to get people to purchase from you is to prove to them that you can be trusted. A good way of doing that is to post quite regularly and offer all your readers some very good value. Keeping your content on your site fresh and up to date and always trying to help your readers will also help to make them trust you more. Access more articles penned by this very writer about topics such as wooden stool and adjustable rolling stool.